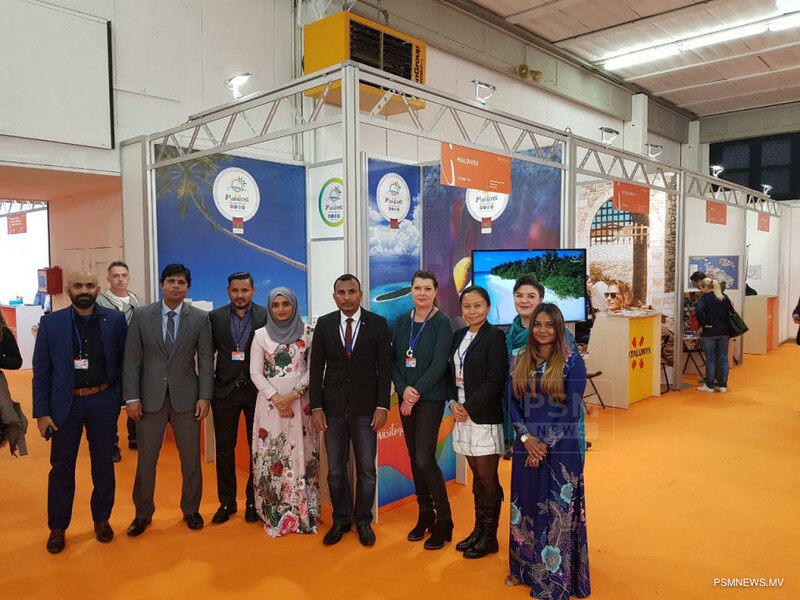 Maldives Marketing and Public Relations Corporation (MMPRC) together with 8 participants from 4 companies of the tourism industry have represented Maldives at Swiss International Holiday Exhibition (SIHE), from November 1-4 in Lugano, Switzerland. The Maldives delegation is led by Acting Managing Director of MMPRC Haris Mohamed. MMPRC said SIHE will be an ideal platform to approach the potential travellers from the country. SIHE is an incredibly popular and attended tourism event taking place in Lugano, Switzerland as the most comprehensive and prestigious travel and tourism event held in Switzerland. The destination will be directly promoted in different media platforms during SIHE this year with the target to expand the market further. Promotional activities which will attract the visitors will be conducted during this four-day exhibition to attract the maximum number of visitors. In addition, discussions will be carried out with the major travel trade media and operators from the Swiss and Italian speaking markets for possible joint promotional campaigns which can be conducted. Majority of the Swiss travellers to Maldives are repeat visitors and Switzerland has been highlighted as one of the most potential markets for Maldives in terms of visitor arrivals. Looking at the top markets of Maldives, it is noteworthy that Italy is among the traditional high ranked markets to Maldives from the very beginning. As of September 2018, 22,151 Swiss arrivals were recorded, which was an increase of 2.4% when compared to the same period in 2017. In 2017, a total of 32,651 tourist arrivals were recorded from Switzerland which was an increase of 3.1% compared to the previous year. Switzerland has a market share of 2.4% and the percentage is expected to increase with the representation of the Maldives at SIHE.